Xbox fans have been eager to learn about Microsoft’s upcoming slate of first party titles. Head of Xbox division Phil Spencer stated multiple times that the company would increase investment in this area, though it was too early to announce the games just yet. With the new year, though, an Xbox Live API SDK leak might give fans an early outlook on what’s next after the likes of Ori: Will of the Wisps, Sea of Thieves, State of Decay 2 and Crackdown 3. ResetEra user Klobrille revealed that he still had access to an internal system where project entries are stored. Sea of Thieves and Crackdown 3 Arena Betas have a lot of entries – suggests these are coming soon. There is so much more but … I don’t want to risk myself. Initially, he didn’t seem inclined to share that Xbox Live API information publicly. He ultimately decided to do it, though under the guise of a wishlist of sorts. I would love to play around with Ms. Dark again. The Coalition should definitely help if it’s a 3rd person game. I mean … Not them alone obviously. I would love to play AoE4 soon … But it‘s probably super early. Make out of that what you want. I don’t know what is just a prototype etc. From what we can glean, a Fable related project codenamed Wisdom should be in development at Studio Gobo’s Brighton-based Electric Square studio, which has been confirmed to be working on something for Microsoft. The second line hints at a new Perfect Dark game being developed by both The Coalition (the studio behind Gears of War 4) and another studio, possibly Rare. This would be quite the surprise as the Perfect Dark IP, acquired by Microsoft with Rare’s purchase, has been dormant for a long time: the last new entry was Perfect Dark Zero, an Xbox 360 launch title released in 2005. The third line mentions that Crackdown 3’s campaign will be playable in cooperative mode, but that was already known. The fourth is more interesting as it suggests that Forza Horizon 4, expected to release in Fall 2018 as per the usual schedule, should be set in Japan. Furthermore, Age of Empires 4 is labeled as “super early” by Klobrille. The game was confirmed by Microsoft at Gamescom 2016, though the question now is whether that entry was merely related to the PC version or perhaps it could hint to an Xbox One port of the real-time strategy game. The penultimate line is perhaps the most cryptic. Xbox’s biggest franchise is surely Halo, but it is unclear whether that reference points merely to a bigger Warzone mode or something else entirely. Either way, we should learn something about 343’s new Halo game this year. Last but not least, his final leak hints at a new MechAssault related project. Again, this would be a true revival as the latest MechAssault game released in 2004 for the original Xbox. Overall, it would be a great idea for Microsoft to dig into its vast portfolio once again, as long as they can find the right developers for each project. By the way, this isn’t the first time Krillobille has managed to pull information out of the Xbox Live API SDK. He did the same ahead of E3 2016 and basically everything turned out to be correct, which lends credibility to this leak as well, though it should still be strictly filed under the rumor label. Also, there’s no telling which one of these projects could be canceled or repurposed before they’re even officially announced. 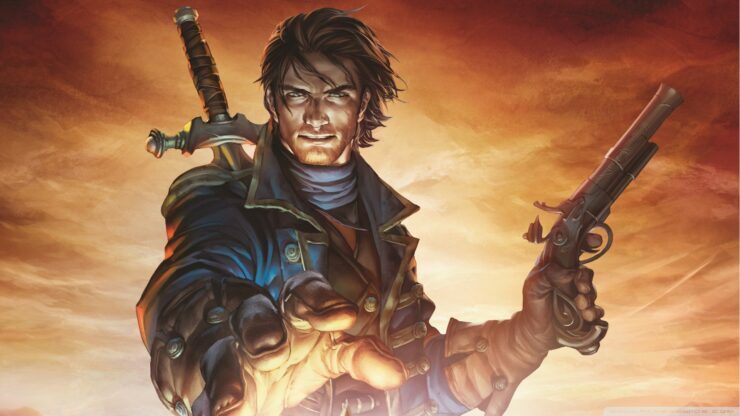 Still, would you like to see Fable, Perfect Dark and MechAssault back? Let us know in the comments section.